The London Organising Committee of the Olympic Games used 40 focus groups and spent 18 months to come up with the designs for the 2012 mascots Wenlock and Mandeville. 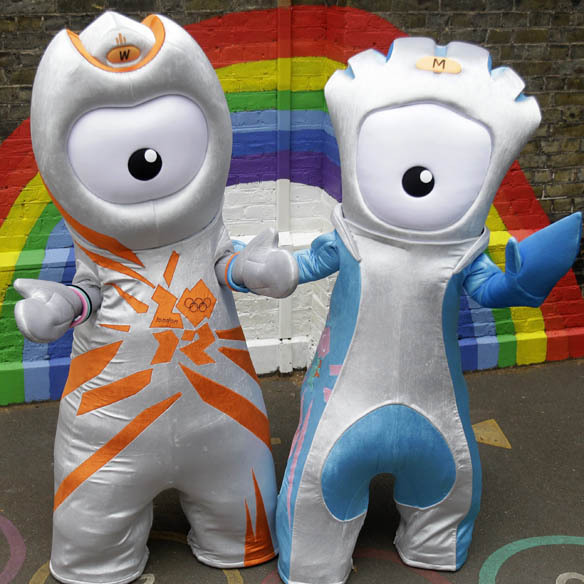 Could someone explain to me how 40 focus groups missed the giant pee stain on Mandeville's pants? The Olympics are all about "universal" symbols, and there's nothing more universal than a "splash" of color in that particular place. "I have one centrally located eye and I just peed myself" does not seem like an enduring bit of branding.